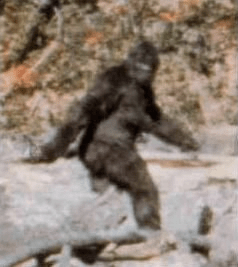 If a new paper yet to be published and currently undergoing peer review is valid, it appears that Bigfoot, also known as Sasquatch, is indeed, real and a hominid mix, meaning that Sasquatch is a human relative that arose approximately 15,000 years ago as a hybrid cross of modern Homo sapiens with an unknown primate species. Following five years of research, a team of scientists has sequenced several Sasquatch genomes. Results show that Bigfoot is a mixture between a human female, about 15,000 years ago, and a male, a previously unknown hominin related to Homo sapiens and other primate species. Wow. What a discovery! The scientists fully sequenced three Bigfoot nuclear DNA samples and the results are stunning. The male is not a contemporary human and they have eliminated both Neanderthal and Denisovian males as possible founders. Where were these samples collected? Are the Sasquatch samples studied from across North America or from one region only? Are all of the Sasquatch related to each other, and how closely? In other words, were there multiple founder events? Was the Y-line DNA sequenced and what does it tell us? Were there multiple male founders or did the Sasquatch line arise from a “one time” event? Do any of the Native tribes in these regions have oral history regarding either Sasquatch or interbreeding with Sasquatch type creatures? Are there “Sasquatch” in other parts of the world as well? The Yeti or Abominal Snowman of Nepal seems to be similar, and a scalp purportedly exists from that creature. If DNA samples outside of North American have been sequenced, are they related to the North American Sasquatch or did they arise separately, assuming they too exist? And finally, do these creatures have “rights” and are they the same “rights” as humans? Given that they carry human mitochondrial DNA, and many Native tribes are maternally based, would they be considered “Native American?” How do we, as humans, deal with this? Are we learning that humanity is really a continuum? Indeed, I look forward to seeing this published paper and I hope it is legitimate and not pseudo-science of some sort. The mere fact that the scientiests have opted for academic publication versus a book or TV documentary certainly alludes to the fact that it is legitimate research. You can read more about this announcment at these links. I’ll let you know when the paper becomes available.